Editor’s note: Yesterday, we published an article by Nicholas Chapman on his latest discoveries about Philip Ludwell III, his circle, and his descendants. Today, we’re publishing some photos from Nicholas’ excursion to Texas, where he found more startling evidence that continues to reshape our understanding of early Orthodoxy in America. 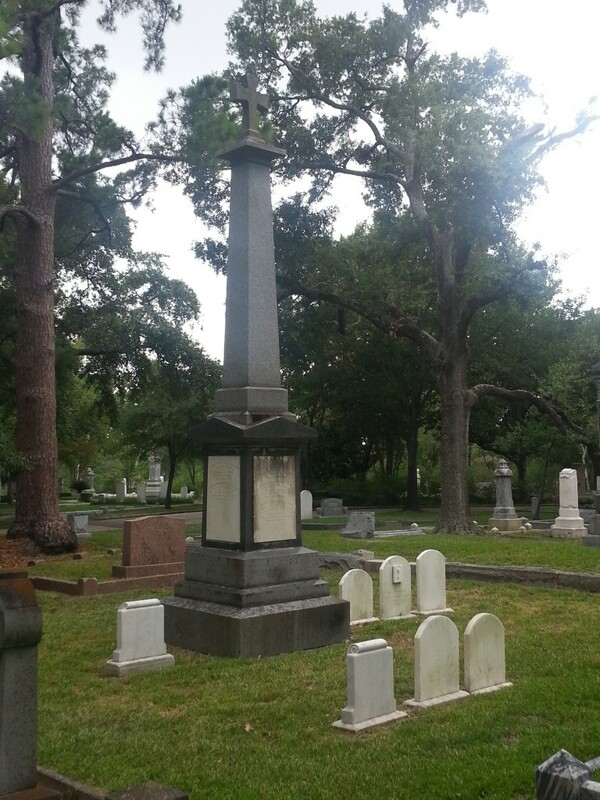 Barziza family graves in Houston, TX. The Barzizas are direct descendants of Philip Ludwell III, and the family preserved their Orthodox faith for several generations. Tombstone of Philip Ignatius Barziza, great-grandson of Philip Ludwell III and grandson of John Paradise and Lucy Ludwell Paradise. 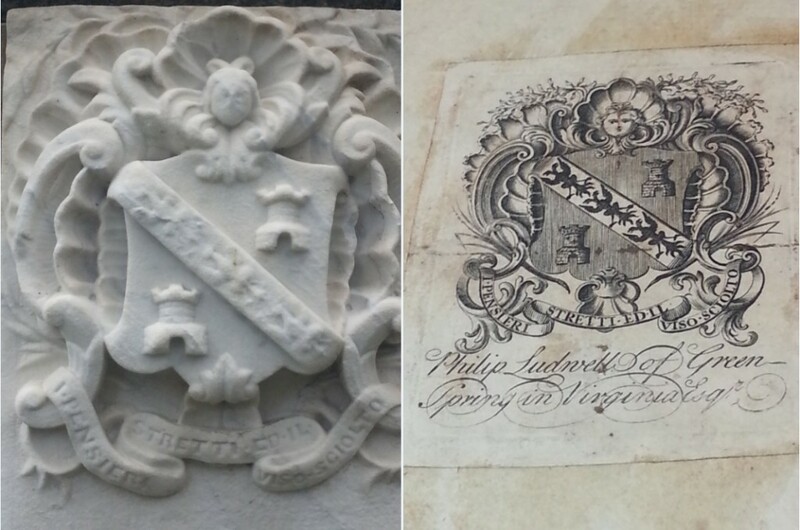 Comparison of the crest at the top of the Philip Ignatius Barziza tombstone (left) and the crest in the book plate of Philip Ludwell III (right). 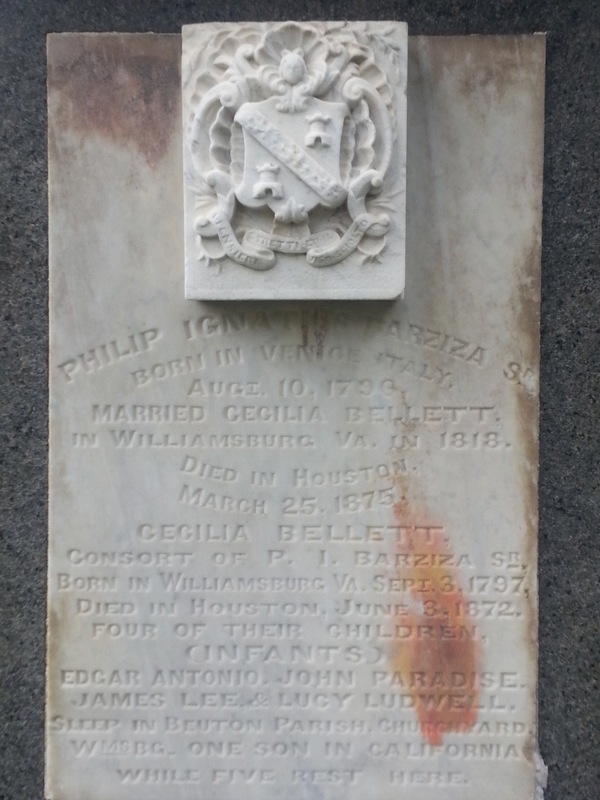 Despite a surname and lineage from a distinguished Venetian family, Philip Ignatius Barziza used the Ludwell family crest on his tombstone. 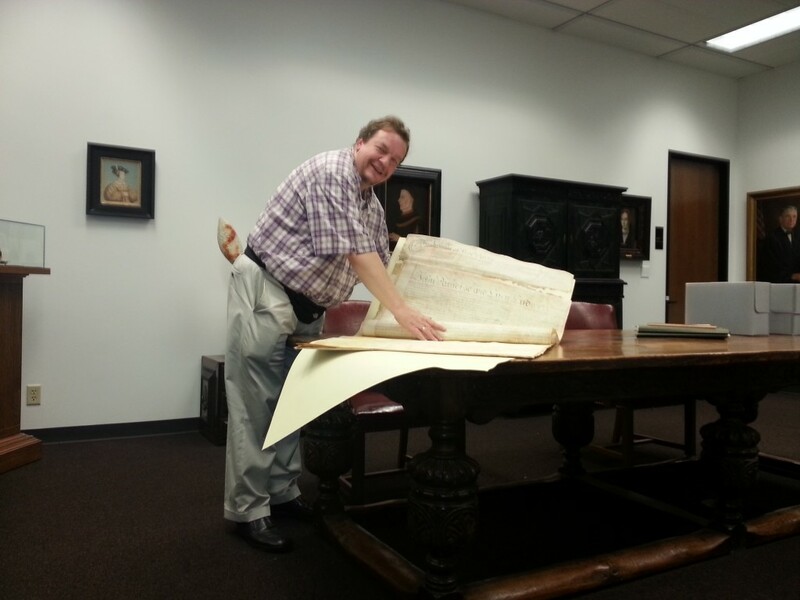 Nicholas Chapman with Ludwell estate documents in Austin, TX. 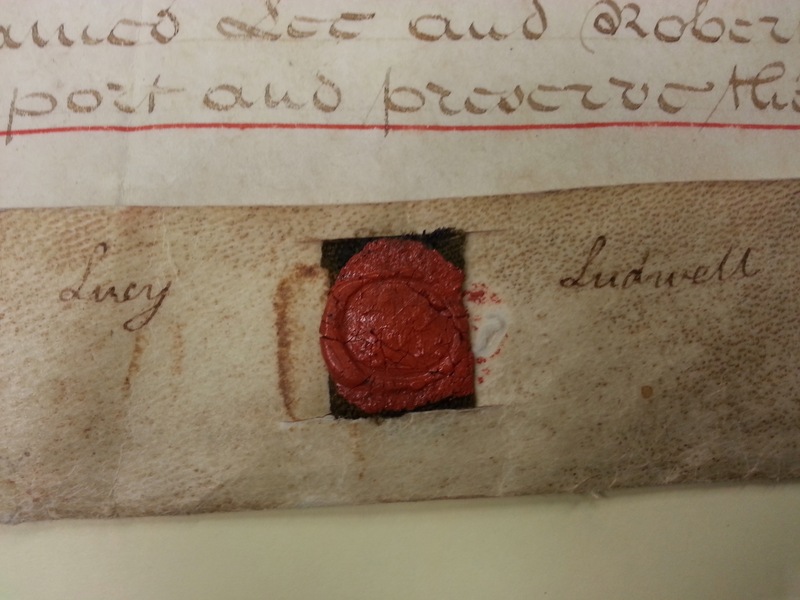 Seal of Lucy Ludwell on documents found in Austin, TX. Plaque at Church of Ss. Constantine and Helen in Galveston, TX. Nicholas Chapman has uncovered a tenuous link between the Ludwell-Barziza family and the Orthodox community in Galveston that eventually formed Ss. 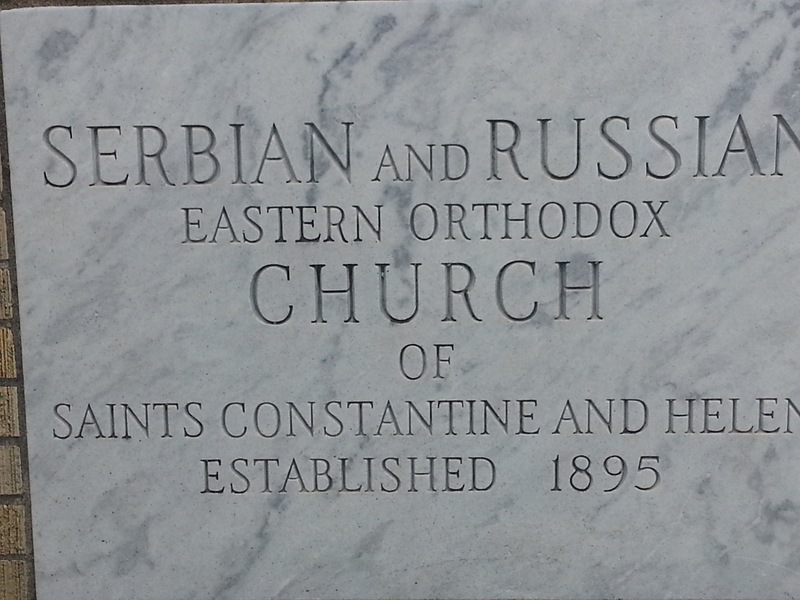 Constantine and Helen Church.